It doesn’t take long to get a dent in your auto body finish. It’s unfortunately easy. Sometimes you’re not even around when it happens. No one wants the dent, but there it is. It might be a tiny ding to everyone else, but it looks like a huge dent to you on your marred finish. You know you can leave the dent there and just pretend you don’t notice it, that it’s not that bad, or that eventually it won’t bother you. Or you can decide that you simply can’t afford to do anything about the auto body damage, one way or another, dent or no dent. Or you can pay hundreds of dollars to have the dent sanded and filled and repainted: dollars you’re not so sure you wouldn’t just as soon have in your pocket as have a perfect auto body door or fender again. Or maybe… maybe you can discover for yourself a surprising dent removal technique that other car owners are finding out about: paintless dent repair (PDR). 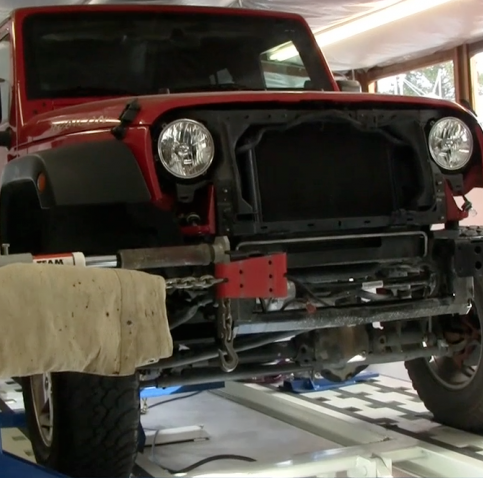 Maybe you’ve heard the buzz about this body repair development. Someone saying paintless dent repair works wonders, that it takes hardly any time, that the shop will come to your house or workplace for the body repair. That the dent removal can be done without repainting, in less than an hour. For $60 or $70. That your insurance company will even pick up the tab for the dent repair to avoid more costly auto body work. You may have thought that paintless dent repair (PDR) sounded too good to be true and maybe wasn’t. But you’ve already got the dent now, and maybe another one or two dents to go with it over time. So why not find out the facts about paintless dent removal for yourself? Paintless dent repair is a reality in Napa County. Whether it’s a miracle or not will be up to you, once you see the surprising if not amazing dent removal results. But paintless dent repair (PDR) is certainly a huge advance in body repair technique and savings. Here are some introductory facts about the paintless dent repair industry. Paintless dent repair (PRD) has been around since it was developed by Mercedes in the late 1940’s. The paintless dent repair (PDR) technicians don’t drill and pull, don’t grind, fill, and refinish as with the older auto body techniques. Instead, paintless dent repair specialists find access for dent removal from the inside of the auto body panel. With very exact tool positioning and auto body panel pressures, using specially designed lighting, highly experienced technicians remove dents, often without leaving a trace and without requiring repainting. The technique is commonly used for dent removal from cars damaged by hail, and for lot reconditioning of dealership vehicles. Paintless dent repair popularity comes down to one huge dent removal advantage: your perfect factory finish stays unchanged. Which means you get a great dent removal outcome with less dent repair time spent and little cost. The dent removal may be done in less than an hour, and the average cost of removing a single ding could be $50. And yes, your insurance company may ignore your deductible and pick up the cost to save them money. Bingo. But where do you go for paintless dent repair (PDR) in Napa County? Which paintless dent repair shop will best meet your needs? Will the shop have skilled, certified paintless dent repair (PDR) technicians? How much will the dent repair actually cost, and will that differ quite a bit from shop to shop? Will the shop offer a good warranty? What can they do if the paint is already damaged? Good paintless dent repair work is available to you in Napa County. You should have it. And remember that paintless dent repair (PDR) services from Diamond Certified companies, with their qualifications and guarantees, may well be your best option. There are lots of paintless dent repair shops in Napa County, including paintless dent repair shops that serve the major cities of Napa, American Canyon, St. Helena, Calistoga, and Yountville, as well as those in the smaller towns . Which one fits best? Start with good info. Here are some ideas for making a solid paintless dent repair (PDR) shop choice in Napa County. Before you begin your search, it is important to understand that the paintless dent repair industry is relatively new, and that the range of dent removal skill may vary greatly between body repair shops in Napa County. You should realize that all paintless dent repair facilities in California have to be licensed by the Bureau of Automotive Repair. You can check on dent repair facilities there yourself, and discover any problems for a shop. But this has already been done for you with Diamond Certified shops. If you choose a Diamond Certified paintless dent repair (PDR) location, you are several steps ahead. If you don’t, you should consider checking the other paintless dent repair shops in Napa County carefully for yourself. Paintless dent repair technicians in the larger Napa County cities of American Canyon, Calistoga, Napa, St. Helena and Yountville will sometimes have certifications of greater skill. These experts may handle your body repair problems better than other paintless dent repair workers in Napa County. Think about checking by phone with a few paintless dent repair shops in the larger cities of St. Helena, Yountville, Napa, American Canyon and Calistoga or in your area of Napa County. And then, think about going to some dent removal or dent repair places yourself, to get a sense of the shop. You’ll want to know something about the place you are having do dent repair on your fine finish. Does the paintless dent repair (PDR) location have people who are informed and polite? Does it appear professional? Only the best paintless dent repair shops in Napa County have earned the Diamond Certified award by scoring Highest in Quality in the most accurate and rigorous ratings process anywhere. You’ll never be fooled by fake reviews, since all research is performed by live telephone interviews that verify only real customers are surveyed. Most companies can’t pass this test. That’s why you’ll feel confident when you choose a Diamond Certified paintless dent repair shop listed below. Simply click on the name of a Diamond Certified company below to read ratings results, informational articles and verbatim customer survey responses. Before you start looking for a paintless dent repair shop in Napa County, or for a dent removal shop in the cities of Napa, Calistoga, American Canyon, Yountville and St. Helena, think about the specific body repair questions you should have. Write some things down. Maybe you are primarily concerned about the quality or permanence of the repair, perhaps whether mobile service is available. You may mainly want someone to spend time explaining options. 1. Do I want to get a Diamond Certified company that is rated best in quality and has the Diamond Certified Guarantee? 2. How will the shop decide the price of the dent removal? 3. How long has the dent removal shop been in business? 4. Will the dent removal shop or technicians have any certifications? 5. What process will be involved if paint damage is present, and how much more will that cost? 6. Does the paintless dent repair (PDR) company have an outstanding reputation among Napa County dent removal customers? 1. Is it likely that my dent can be removed quickly and cheaply by typical paintless dent repair, or will a more traditional and expensive dent removal process be necessary? 2. What exact work will actually be done on my auto body metal for dent removal or scratch removal? 3. How likely is it that the initial estimate for my dent removal work will be the right amount? 4. How will we keep in touch during my dent removal? How can you be sure that customers of a particular paintless dent repair shop in Napa County have really gotten good paintless dent repair (PDR) quality for their time and money? Has a particular dent removal shop satisfied them? That’s a big issue, one not so easy to answer unless you have good independent information. Diamond Certified paintless dent repair shops give dent removal consumers a big advantage in Napa County and the greater Bay Area. You can be sure of quality with Diamond Certified companies. You can read word-for-word answers to paintless dent repair customer surveys. You won’t be misled by false information, because you will have access to the researched opinions of numerous paintless dent repair (PDR) customers. And you will have the Diamond Certified Performance Guarantee. If you can’t find a Diamond Certified paintless dent repair shop, check the shop’s references yourself, and don’t be in too big a hurry. Dent repair shops may be able to give you a list of recent customers you can talk to. But these still won’t be the same as the randomly selected customers of the Diamond Certified ratings process. That’s because customers may be “cherry-picked,” a way dent removal shops give you only customers with good experiences and keep you away from those who may have had bad ones. What sort of dent repair or scratch removal did the shop do, and how bad a dent did you have? Did you feel good about the dent removal? Were you okay with the amount of time the dent removal took? Did the paintless dent repair people treat you right and explain things clearly? Was the dent removal cost reasonable, and close to the estimate? What parts of the dent removal work went especially well? Will you go back with any more dent removal work? 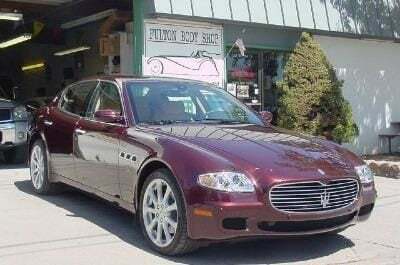 Do you recommend this paintless dent repair (PDR) shop? You may feel ready to make a paintless dent repair shop choice at this point. 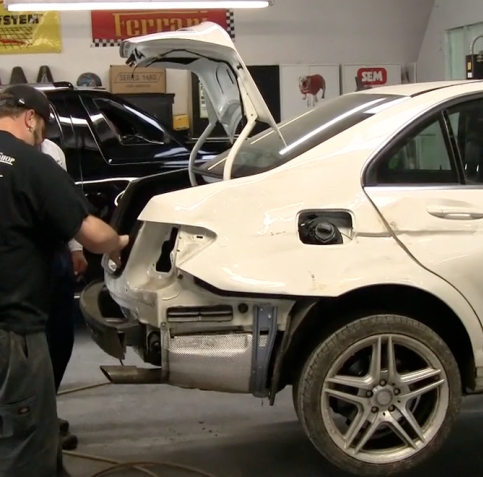 Can a paintless dent repair shop in Napa County meet all of your most important needs, including speed, price, and quality? Will the paintless dent repair (PDR) shop reps deal with you clearly and courteously? 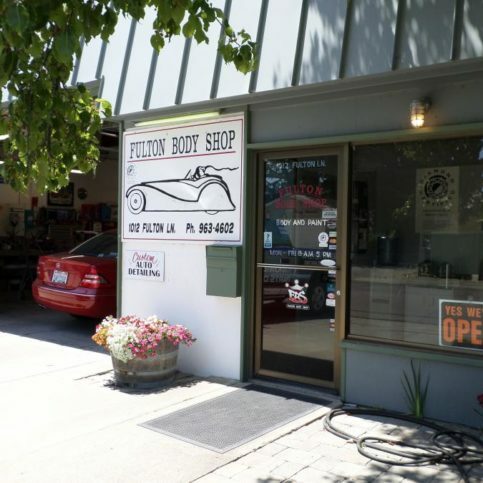 Is the paintless dent repair shop well-thought-of by customers in Napa County for dent removal or scratch repair work? The big question to ask before you finally choose your paintless dent repair shop in Napa County may be this: Do I know what I really need, and do I have a good indication that the paintless dent repair shop I am choosing will fit those needs well? In particular, think about the advantages you can have with a prequalified and guaranteed Diamond Certified paintless dent repair company. In California all paintless dent repair facilities are licensed by the Bureau of Automotive Repair, but you want to know you have the one dent removal provider that best solves your body repair problems. All Diamond Certified shops are looked at carefully in advance for high quality. 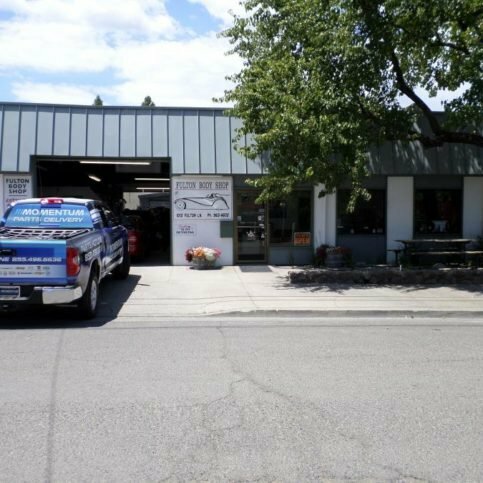 If you don’t choose a Diamond Certified shop in Napa County, you should think about looking carefully yourself for a shop that can really meet your body repair and dent removal needs. Dent repair shops in the larger Napa County citieso f Yountville, Napa, St. Helena, Calistoga and American Canyon may have more experience or better certifications than do other paintless dent repair (PDR) garages, and the technicians there may be Vale National Certified. Be sure to take the time to understand the paintless dent repair work you need. You should be comfortable with the facts and the choices. Ask questions as needed, and keep track of the responses. Remember to get your estimate before the paintless dent repair (PDR) work starts, and after that to be contacted if the dent removal work is going to go over the estimated amount. When you’re okay with the info from the Napa County paintless dent repair shop, sign the estimate and dent repair service contract. See that the paintless dent repair facility has the best phone number or numbers for reaching you while the dent removal is underway. How Can You Be a Good Paintless Dent Repair Shop Customer in Napa County, including the cities of Calistoga and American Canyon? Be clear in communicating with the paintless dent repair mechanic: be direct and polite. Check your phone information with the shop to avoid delay, and be straight on which person is to do the calling with Napa County body repair shops. 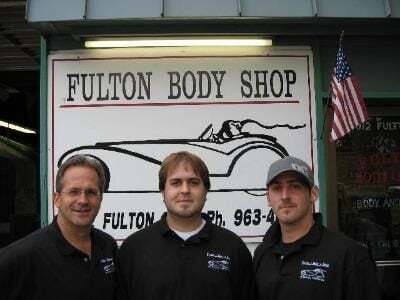 It works for you and for the shop when you make the effort to be a good body repair service customer. 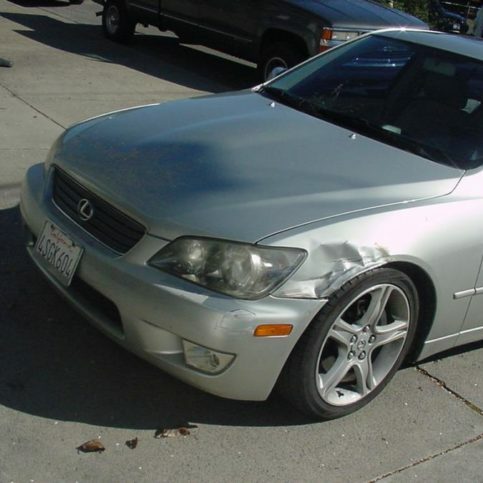 The Napa County paintless dent repair shop will work well with clear and responsible customers. · The paintless dent repair ID number. · The paintless dent repair work description. 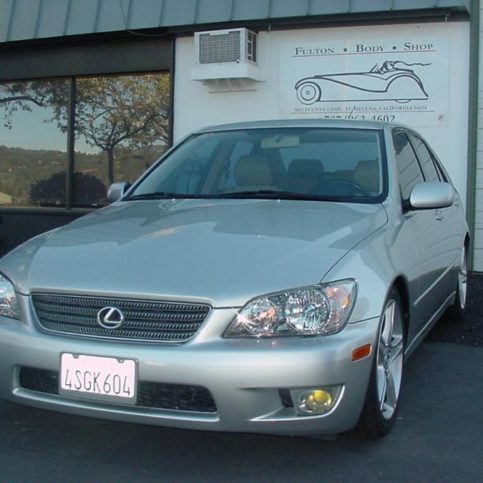 · The total price charged for paintless dent repair labor. · Description on what’s covered, including reworking or cash back. · Instructions for getting action on the warranty. · The amount of time for which the warranty is good. A dent is similar to a ding. Where a ding may be hardly noticeable because it is so small, a dent is larger, and is often able to be fixed by paintless dent repair. Practically, paintless dent repair (PDR) is good for damage from hail, dings from parking lot doors, creases to the auto body, and bumper dents. The size of a dent for using paintless dent repair has gone up in recent years from something like a tennis ball toward something more like a football. Paintless dent repair (PDR) is perfect for dings that are smooth and not too deep, creases between the sizes of dimes and basketballs, and plastic bumper dents without tearing or loss of paint. Dents are covered for paintless dent repair by some insurance plans costing hundreds of dollars from new car dealers. But these plans don’t really make good money sense for body repair costs. This is largely because dent repair will average only about $50 of body repair expense; in other words, paintless dent repair (PDR) is so cheap that buying an insurance policy for it isn’t smart. It is also true that even though paintless dent repair can be great, it will not fix some common dents which involve chipping or scratching of the paint. That having been said, it is amazing what paintless dent repair (PDR) is actually able to do for dents. In most cases dents can be completely removed, becoming invisible and making the process hard to believe: like the removal of a dent the size of a soccer ball in half an hour for $400, leaving no visible trace. In the past, auto body repair for dings and dents to car doors and other surfaces has meant grinding, filling, and repainting. But in today’s auto body market, the body repair shop may well offer paintless dent repair. You may not have known until recently that paintless dent repair (PDR) was possible, as that is only lately coming to be realized by the general dent repair customer. Many dent repairs can be done in an hour or two, and the paintless dent repair service will often be able to come to your auto for your convenience. Dent repair for a single dent might now cost you a hundred dollars, instead of several hundred for older body repair techniques, and your insurance company may be able to remove the cost of your deductible in light of the savings of paintless dent repair (PDR). This may be especially true in dent repair for hail damage. Paintless dent repair (PDR) is the same thing as paintless dent removal, and for you may very well mean nearly painless dent removal for some body repair purposes. Paintless dent repair was introduced into the general body repair market in the last part of the 1980s after being developed in Mercedes Benz factories some 40 years before. Paintless dent repair (PDR) works wonders on many small dents and some bigger dents while keeping your car’s factory finish and avoiding the need for new paint. The paintless dent repair process is a work of massage, getting in behind the metal and pushing carefully and artfully to work out the dent and restore the paint and the auto body metal to its condition before the damage. By keeping your auto body original finish, the paintless dent repair (PDR) process by-passes all the grinding and bondo, all the priming and sealing of former body repair techniques. Paintless dent repair also helps the environment by decreasing the use of chemicals, avoids paint mismatching by keeping your original finish, and gets lots of dent repairs done in an hour or less. Traditional body repair, or conventional body repair, is one way to address the common problem of small dings and dents to car doors, hoods, roofs, and trunks. Paintless dent repair (PDR) is rapidly changing that, as people become aware that it can be done, and of the advantages it has over the older kind of body repair. With the earlier typical body repair, the paint at the dent would be ground away, plastic filler would be used on the dent, primer would be applied and the dent would be painted to match the original paint as well as possible. This process is three or four times as expensive as paintless dent repair, takes much more time, has big costs associated with repainting, does not restore the true paint as well, involves toxic chemicals, and can lead to problems later from shrinking of the filler or paint. Paintless dent repair (PDR) is changing body repair, allowing dents to be taken care of quickly: hail damage body repair may perhaps be done in a day now, when before it might have taken weeks. It’s not true that scratch repair is the same as dent repair; scratch repair is unfortunately not something that can be taken care of simply by paintless dent repair. Scratch repair involves the problem of missing or cracked paint, and so scratch repair cannot be paintless. The good news is that many paintless dent repair (PDR) companies will deal with your scratch removal problems as well, possibly through a time- and cost-saving new technology called smart repair. Using smart repair, the auto body or body repair technician can spot-blend paint, taking only about half the time that would have been required before and costing you much less. Not every dent can be removed by PDR, but about 95% of minor dents can be. Dents that are removed by PDR are the same size or less than a golf ball. The two factors most important in whether PDR will achieve dent removal are the depth of the dent, and the location of the dent. Even dents larger than a dinner plate may be removed if the depth of the dent is not great. However, the depth of a dent will not allow PDR if there has been too much stretching of the metal. Locations of dents that may not allow PDR are forward parts of hoods and edge sections of panels where the metal reinforcement may be higher. Dent repair is quickly coming to mean paintless dent repair. This is lagely because of one fact: paintless dent repair (PDR) is much cheaper, mainly because it takes much less time and uses fewer costly materials. 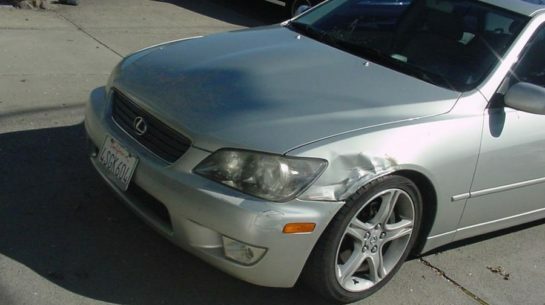 Paintless dent repair is an art allowing minor auto body damage to be completely removed. Paintless dent repair (PDR) works for small or quite large dents on cars made during about the last 20 years, where the paint is not spoiled and the dent is not at a reinforced panel edge or too great in depth. One unfortunate myth of dent repair is that it means the same thing as scratch removal. It’s important to think clearly about this special type of auto body work, because scratch repair is one thing and dent repair another, and paintless dent repair does not solve scratches. Scratches are where the paint or clear coat of the auto body finish is damaged, where the paint is broken or gone as with a chip. Scratch removal requires traditional body repair work or perhaps touch-up painting, but may be available at the same auto body shop that does paintless dent repair (PDR), perhaps using smart repair. Smart repair is the good news when the news isn’t as good as you hoped (paintless dent repair), but not as bad as you thought (major body repair and repainting). Smart repair is in-between. When your auto body damage is too much for paintless dent repair, there is smart repair. Examples of the need for smart repair are a dent or crease with cracked or broken paint, a dent with too great a depth of metal stretching, or a dent repair at the edge of a door, trunk, hood, or other auto body panel with metal reinforcement. Smart repair technology allows the paint to be blended in a spot. Smart repair dramatically decreases the time and cost of the auto body work compared to typical scratch repair. 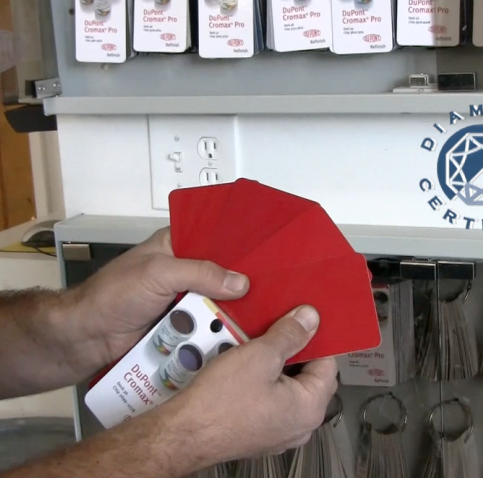 Diamond Certified paintless dent repair shops have the Diamond Certified Performance Guarantee. If the paintless dent repair shop is Diamond Certified and you can’t resolve the issue by talking with the local dent removal shop, you can simply call the mediation department at [email protected] or call 800-738-1138. Napa County paintless dent repair shops will usually do your dent removal work well, but you may sometimes need to take further action. The starting point is usually to talk with the manager right away. · As a California paintless dent repair consumer in Napa County, you must receive an estimate of your costs, and later an invoice with details of dent removal charges. You have rights under California’s Automotive Repair Act. If you need more information about them, you may want to visit the Bureau of Auto Repair website. · It will be best to remain calm and polite; this will always be to your advantage. · Be clear about how you feel the dent removal work problem should be handled. · Speak calmly and be fair in coming to a solution. Make notes on the conversation for later use. If you have to, tell the paintless dent repair representative that you will be making a complaint with the Bureau of Auto Repair. The basis of paintless dent repair. Access is getting the tool behind the auto body metal panel in order to push or massage the metal out for successful dent repair or dent removal. Dents in areas where access is blocked may not allow paintless dent repair (PDR), for example dents in double panels, braced door areas, or the edges of panels. Another paintless dent repair (PDR) basic. The paintless dent repair technician must know the exact spot of the tool in order to push or massage the metal in the right location. Accuracy comes from reading the metal with a paintless dent repair (PDR) reflector board or fluorescent light. The sharpest type of paintless dent repair tool, used to push out a sharp low spot. The rounded paintless dent repair tool for massaging a gradual auto body dent. Auto body safety reinforcement which can prevent access for paintless dent repair, such as in auto body doors. A sharp, long dent. The crease is difficult damage in paintless dent repair (PDR), taking highly skilled dent removal. A technique that reads the auto body dent from views at right angles to make sure the dent removal is perfectly done. Doubled auto body metal which makes paintless dent repair (PDR) access hard or impossible. A technique for getting a first sense of the paintless dent repair tool placement. A technique for finding the exact placement of the paintless dent repair tool. Final completion of the paintless dent repair, putting the auto body surface back in its original state. Bad paintless dent repair (PDR). This is the result you don’t want, but one that can easily happen with technicians who are not skilled at dent repair and removal. Good paintless dent repair takes long practice: a poor technician makes the dent worse, and you will be behind from where you started. A point of auto body metal that has been pushed out past the flat plane. A point of auto body metal that has not yet been pushed out to the flat plane, that still needs massaging out. A paintless dent repair (PDR) specialist, one having extra training and skill. The goal of good paintless dent repair is the restoration of the orange-peel-like surface of the original auto body finish. A cost- and time-saving way of pushing or (less commonly) pulling auto body metal back to its original shape. The paintless dent repair method was pioneered by the Mercedes Benz company. Specific techniques used in paintless dent repair. Metal picks and rods are usually used to push dents out from the inner side of the auto body metal, although sometimes dent repair may involve pulling the damage out using glue or a special tab. Perfecting the dent repair comes from tapping out the high spots for a smooth finish. Good paintless dent repair (PDR) technicians have learned over time how to create the high spots without breaking the paint and ruining the dent repair. The basic process of paintless dent repair (PDR), the very exact massaging or pushing out of auto body metal to restore the original contour. A paintless dent repair (PDR) reading device for showing small exact movements in the dent removal process. Dent removal by slow steady massaging. A paintless dent repair (PDR) tool for taking out high spots. A technique used late in the paintless dent repair process. Trimming reads areas at the edge of the damage to find any small remaining problems with dent removal flatness. Q: Why choose a Diamond Certified paintless dent repair shop? A: Diamond Certified ends the guessing game by offering the auto body paintless dent repair consumer a choice from a list of top-rated local companies who pass the nation’s most in-depth rating process. Most companies can’t pass such a high standard, which means only local paintless dent repair shops rated Highest in Quality earn the Diamond Certified award. American Ratings Corporation also looks at every Diamond Certified company with in-depth and ongoing research and ratings. And your paintless dent repair purchase is always backed up by the Diamond Certified Performance Guarantee. So you’re able to feel confident about having chosen a Diamond Certified paintless dent repair shop for your needs. Q: What are my rights as a paintless dent repair (PDR) customer? A: Since 1974, the Automotive Repair Act gives you the right to an estimate in advance on paintless dent repair or other auto body repair work, and to a list of charges when the dent removal or other work is done. More information on your rights is available at the California Bureau of Automotive Repair (BAR) (http://www.autorepair.ca.gov/). A: Paintless dent repair is a much cheaper and faster way of dent removal than typical body work, a method that takes care of dents without requiring repainting. Paintless dent repair (PDR) uses patient massage to the inner surface of the auto body metal to push the dent out and completely remove evidence of the damage. Q: What makes paintless dent repair a better option than typical auto body dent repair? A: If you had to narrow it down to one word, the word would be “paintless.” The fact that your car does not have to be repainted after the dent removal means that the dent repair will cost less, take less time, and do less toxic damage to the environment. But the main advantage of avoiding repainting is the quality of the dent repair: your auto body finish will be perfectly saved, because your original paint and clear coat will remain undamaged and you won’t have to worry about mismatched paint, or about filler shrinking and spoiling the appearance of your repair at some point down the line. Q: How does the cost for paintless dent repair compare to that for the usual auto body work method? A: It’s cheaper: a lot cheaper. Would you believe that paintless dent repair costs about a third of the price of typical body repair techniques? Believe it, and your cost may be even less, as little as one fourth of the other type of dent removal. Expect to pay about $50 for a ding on average. 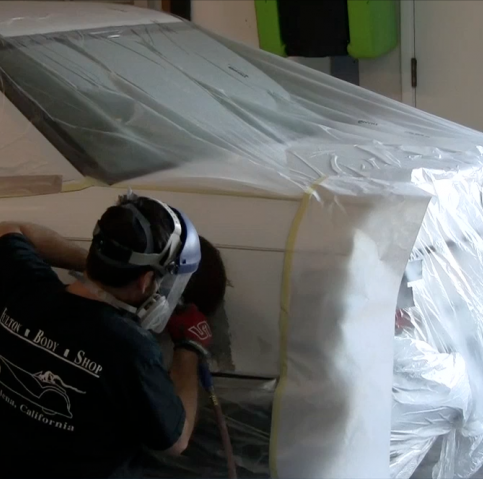 Q: How much time does it take for paintless dent repair, and how does that compare to the usual auto body work method? A: It’s faster: a lot faster. A typical single dent repair can be done in less than 60 minutes, and often hail damage that would take weeks for dent removal by the usual body repair method can be done within a day. Q: Can I count on high quality paintless dent repair work from most auto body technicians? A: Good question. Unfortunately, the answer is probably “not necessarily.” The paintless dent repair (PDR) industry is quite new, and quality standards for dent removal have not yet been widely used. Dent repair skills will likely be much different among auto body repair workmen, and going for the lowest possible price could result in a very poor job of dent removal on your prized auto finish. This fact points up the value of considering the choice of a Diamond Certified paintless dent repair shop. 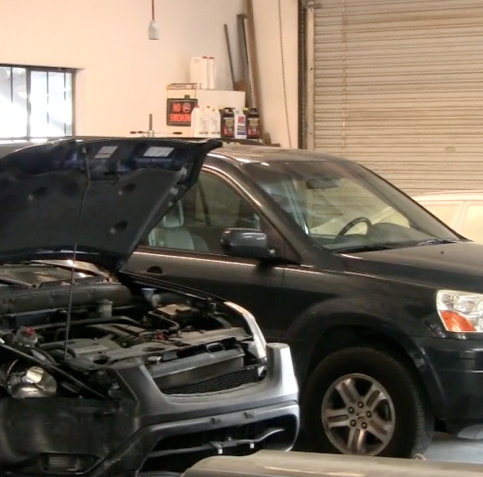 Q: What’s the best way to find a good paintless dent repair shop or technician? A: Remember the quality that Diamond Certified paintless dent repair shops offer. Diamond Certified dent removal shops may well have National Alliance of Paintless Dent Repair Technicians members (NAPDRT). NAPDRT is a nonprofit group working toward national standards for paintless dent repair. NAPDRT technicians support consumer satisfaction info, and are often Vale National Certified, the only national paintless dent repair technician certification given. Q: Will my dent or dents really be completely removed? A: Minor dents will be completely gone. Larger dents that are deeper will present a bigger problem for complete dent removal. Many dents will be completely resolved, and those that are not 100% gone will be amazingly repaired. Q: Will my dents be gone for good, or will they show up again later? A: No worries. Your dents are gone for good, because your auto body metal has been completely and permanently put right. Q: Will the paintless dent repair (PDR) damage my existing paint? A: Actually, that question brings up the big advantage of paintless dent repair: your factory finish will be perfectly kept. 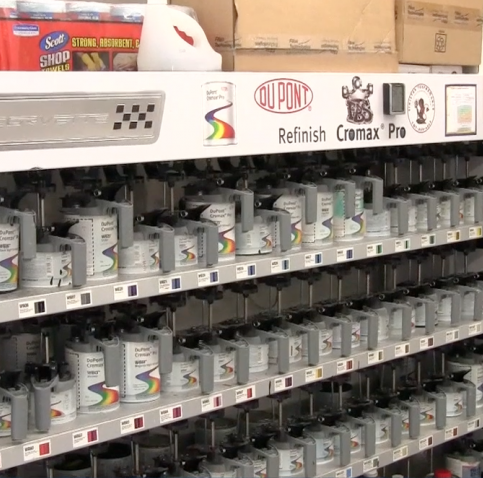 The flexibility of new-model factory paint is an important factor in making this possible. Q: Can every dent repair be done by paintless dent repair? A: Well, no. But you guessed that. If a dent is too deep, the metal has been overstretched, and paintless dent repair won’t be possible. Also dent removal won’t be possible in certain spots like edges and areas of metal reinforcement. But 19 out of 20 minor dents can be removed by paintless dent repair (PDR). Q: Will paintless dent repair increase the value for selling my car? A: Absolutely, because the selling value of your car is so closely tied to its appearance. This fact is combined with the reality that paintless dent repair (PDR) is so low in cost compared to other body repair. You will have more interest shown in your car, and will be able to move it more quickly. Q: So maybe paintless dent repair costs less than typical auto body work, but doesn’t it still cost a lot? A: Well, that depends on your sense of “costing a lot.” Also the cost will differ for different shops and will have to be investigated. But in general, the answer is no, paintless dent repair (PDR) is very reasonably priced. Although the average price for a ding could be as little as $50, your price could be between $75 and $100, and some dent removals might cost $150. One dent of volley-ball size cost $400 to fix, but regular body repair estimates had been going about seven times that much for dent removal. Q: How long will it take to have my dent fixed with paintless dent repair? A: Less than an hour is common, but it could take two. Remember however that it may cost much less time in effect, since paintless dent repair (PDR) services are often mobile and so are able to offer terrific convenience. Even hail damage may be fixable by paintless dent repair in a single day.